hat do you get from a low angle shot? Does it make your character seem more powerful? Can it also signal vulnerability? 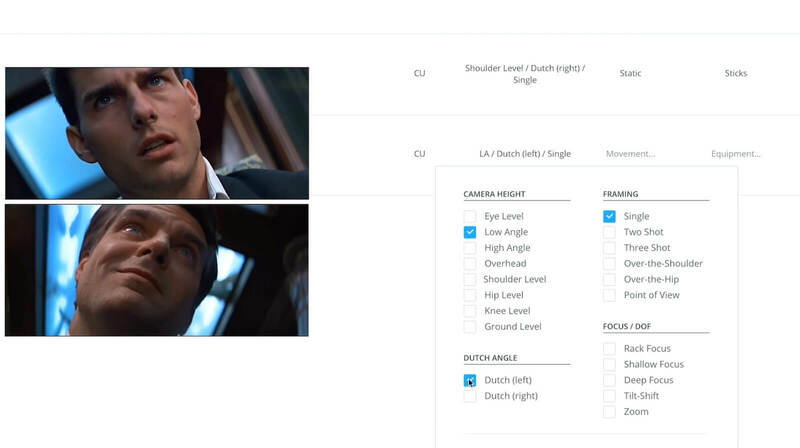 Today, we cover the low angle shot, and how you can use it in your next film. What is a low angle shot? In cinematography, a low-angle shot is a shot from a camera angle positioned anywhere below the eye line, pointing upward. It can even be below the character’s feet which is called an extreme low angle shot. Low angle shots are often used to convey power, and depending on your subject, that power can be a good thing or a bad thing. Take this low angle shot of the Biker from Raising Arizona. He's hellbent on catching his man, and will stop at nothing to bring the Arizona baby back. Here’s another use of a low angle shot from the Wachowski’s Matrix series. We can tell that these Agents are in control here. We haven’t met them yet, but the low angle shot shows that they are in charge. There is also a practical reason to shoot this low angle, because the agents expect to find Neo sitting there during his work day. Great directors combine reasons for their decisions. When you’re shot listing the low angle shot you have to keep all this in mind. Low angle shot example in the Matrix. Low angles have this weird ability to signal vulnerability, which seems a bit contradictory since we know that low angles can convey power. Part of this is simply that we see the character from an unusual angle, and within the context of the scene we as a viewer become irked by the framing. Another reason is because we are more confined, especially when indoors. This shot above is both a low angle and a Dutch angle, and while the Dutch angle signals to use that something is wrong, the low angle give us a claustrophobic feeling and signals that Ethan is trapped, and vulnerable. As a kid, did you ever take a photo of your friends or sibling jumping they're bike off a ramp, hoping to catch a moment of some sweet air? Did you get down low to make that air seem even sweeter? It is a basic perception trick, but it is one that is used in filmmaking a lot. You can combine this with miniatures to create the feeling that an entire, massive world exists in front of the camera. Consider going as low as you can go to increased the perceived height. Get Inspired. Explore More Angles. Master every camera angle, and learn unique ways to combine them with shot sizes and movements to take your storytelling to the next level. So, you need to use the low angle shot to set up the stakes in your own film? What do you do now? You need to put it in a shot list so your DP can anticipate and prep. Low angle shots take lots of planning. Are you combining your low angle with a camera move, or will it be static? You can track with someone on a dolly, or let a steadicam give you more maneuverability - all of this will give your low angle some complexity. You just read all about low angles, so check out some more of our helpful shot guides by reading all about the medium shot. This is one of the most versatile and commonly used shots in television and film.